The New and Expanded Edition of How Apollo Flew to the Moon tells the exciting story of how the Apollo flights were conducted by following a virtual flight to the Moon and the exploration of the lunar surface. In an age when US government-funded spaceflight to the Moon has been cut back, Apollo still remains the only example in history of manned lunar exploration. From launch to splashdown, this book hitches a ride in the incredible spaceships that took men to another world. 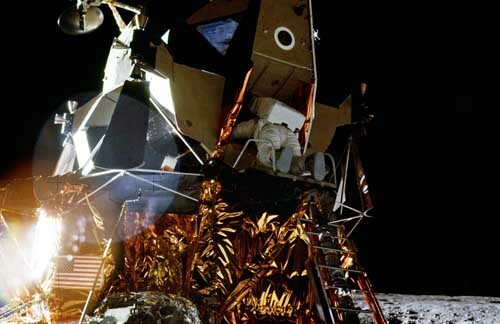 It explores each step of the journey and details the enormous range of disciplines, techniques and procedures the Apollo crews had to master. While describing the tremendous technological accomplishment involved, the human dimension is added by calling on the testimony of the people who were there at the time. There is a wealth of fascinating and accessible material: the role of the powerful Saturn V, the reasoning behind trajectories, the day-to-day concerns of human and spacecraft health between two worlds, the exploration of the lunar surface and the sheer daring involved in travelling to the Moon and the mid-twentieth century. Building upon the tremendous success of the original edition of How Apollo Flew to the Moon, the second edition includes a new chapter on surface activities inspired by feedback from readers. There is also additional detail in the existing chapters to incorporate all the feedback from the original edition and there are more, and larger, illustrations, many in full colour. � W. David Woods 2011-2013. Site Design by Kevin J. Woods.